Dial it back with a phone that makes everyday calling and messaging easier. 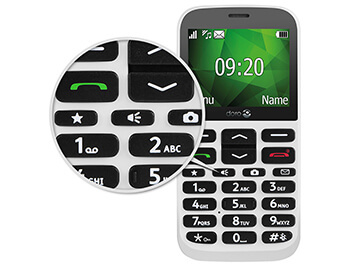 The Doro 1370 has widely spaced keys, a simple 3-megapixel camera and an in-built assistance button. 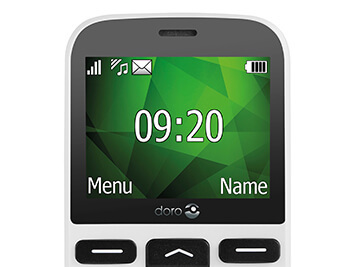 The Doro 1370's wide 2.4-inch display is perfect for messaging and viewing your pictures. Enjoy great clarity that complements a familiar, no-nonsense design. 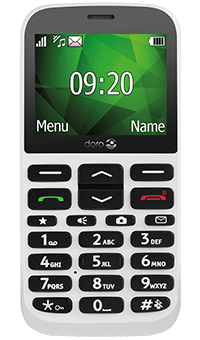 Widely separated, convex keys make the Doro 1370 gloriously simple and intuitive for texting and dialling. Press the four direct keys to go straight to your messages, favourite contacts, torch or camera, removing any fuss with the push of a button. 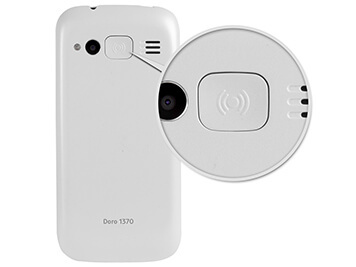 Press the in-built assistance button on the back of the Doro 1370 to reach your closest contacts in an instant.It's a safety back-up to help you feel secure and connected, wherever you go.